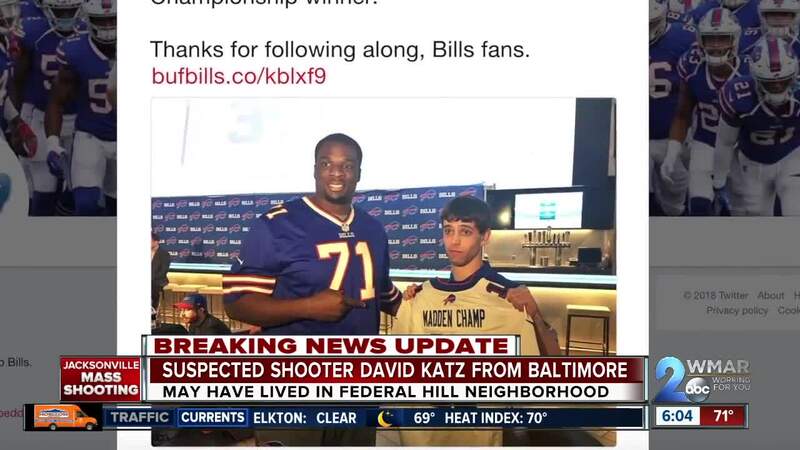 BALTIMORE — The Jacksonville Sheriff’s Office believes the suspect in Sunday's video game tournament shooting is 24-year-old David Katz from Baltimore. "It’s a complete shock," one Baltimore resident said. 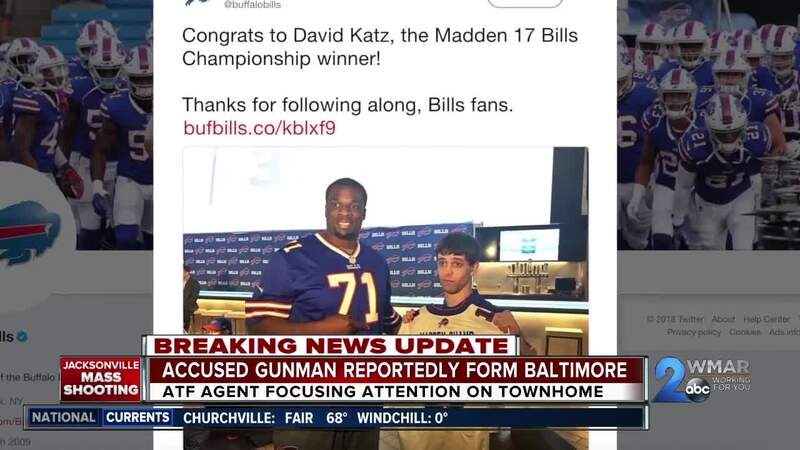 This picture is Katz from a Madden tournament last year on the Buffalo Bills Twitter account. The ATF and FBI in Baltimore are assisting in the investigation, and for hours Sunday evening have been in and out of the second townhome from the left. According to property records, the South Baltimore home in the 1200 block of Harbor Island Walk is owned by Richard Katz. Neighbors said they think he lived alone, but they recognize the suspect and heard Richard talk about his son before. "We know Rich just cause we see him at the gym but other than that he does keep to himself and I've never really had a full conversation with him ... definitely I've seen the son coming and going as well over the years," one neighbor said. "If that’s him I feel sorry to his family and parents." The people living right next door said they never saw any red flags. Another neighbor said Rich is a really good guy, and they don't know David but have seen him come and go occasionally.